What a difference a year can make! 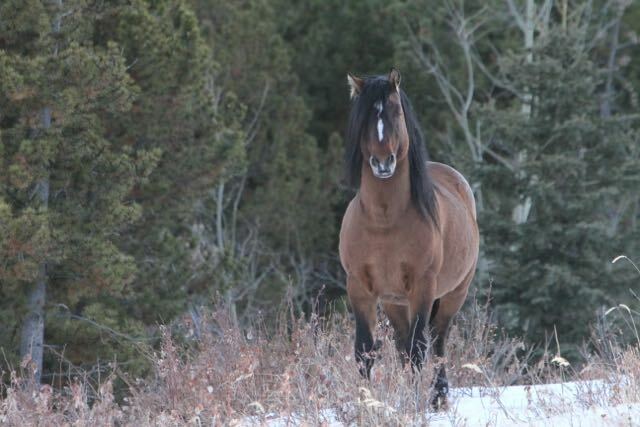 This time last December it was very cold and the snow had started to accumulate throughout wild horse country. 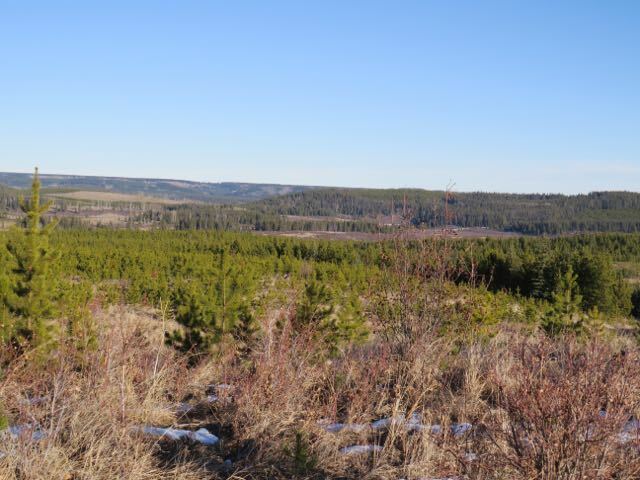 As you can see from this recent picture, there is little to no snow and the temperatures are warm. This is making it so much easier on the horses as they roam the countryside. We found this boy wandering up a high mountain valley that receives little sunshine this time of year. Even here the snow is causing little difficulty for the horses to find food. This shows how open the countryside really is right now. This valley here usually has some of the deepest snow in the winter months. 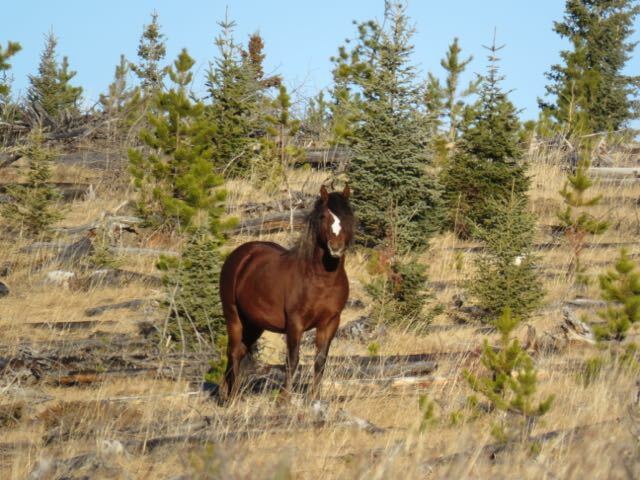 As a result of conditions like this, the horses are more difficult to find because they can go anywhere they want! 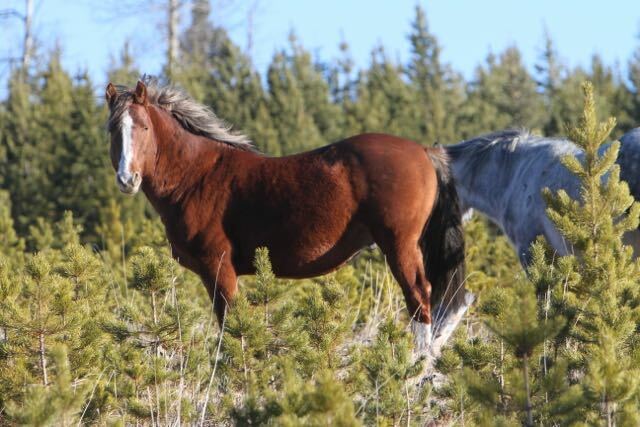 The muskegs are frozen despite the daytime temperatures allowing the horses to feed in usually inaccessible areas. 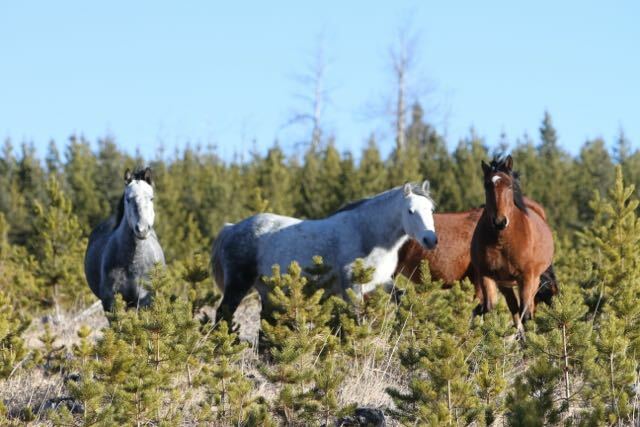 We were thrilled to come across this herd that includes two white mares we have been following for several years. Here two grey daughters look us over along with the other eight members. They were high up on a fairly open ridge top where the grass is still very plentiful. 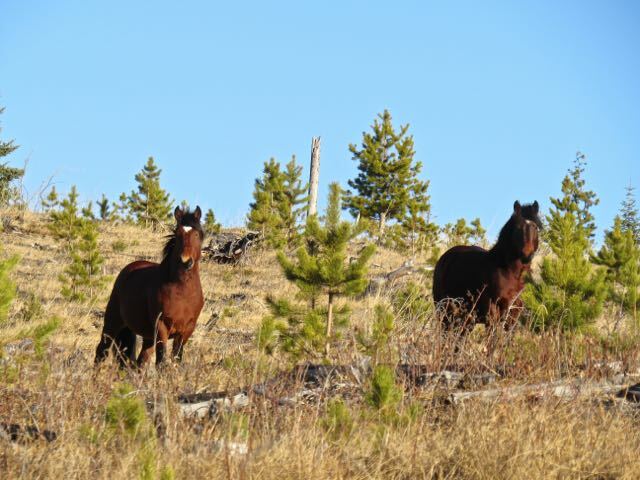 In another valley we came across these two boys enjoying the sunshine on this open hillside with no snow. You would think it was early fall, not mid-December. 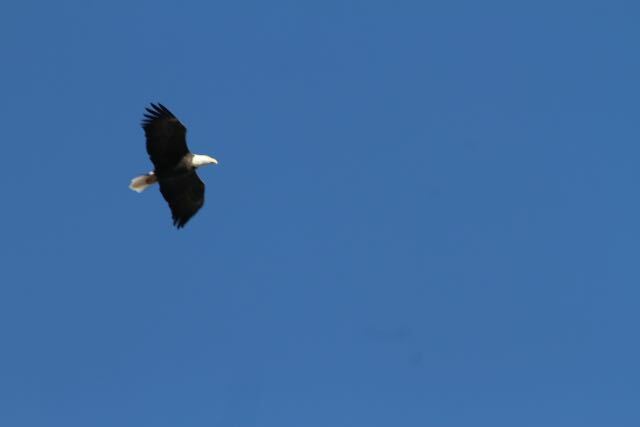 This fellow stared us down as we took his picture and a beautiful bald eagle flew over us all. Even though we know winter and snow is coming, this wildie is in great condition to endure whatever comes along. This is true for all the other wildlife we’ve encountered in our recent travels. 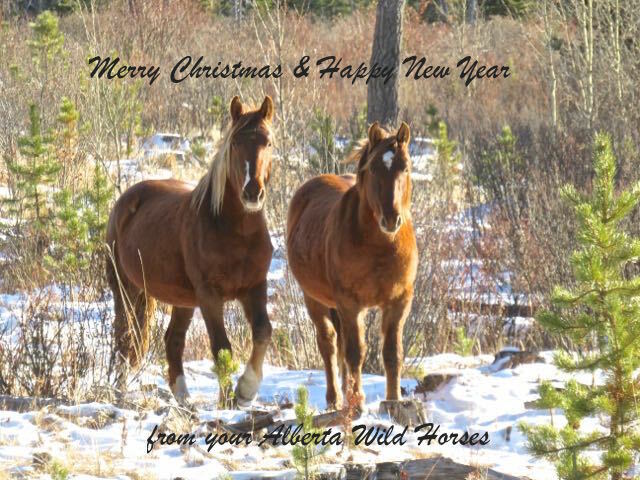 At this time on behalf of the wild horses and WHOAS, we would like to thank all our supporters. We wish you all a Merry Christmas and Happy New Year.